Free battery check for your vehicle. Don’t get caught in this cold weather. No appointment is necessary for car battery replacement in morden. 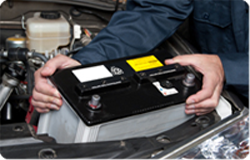 TA Central Autos also offers free fitting for all batteries purchased from us. 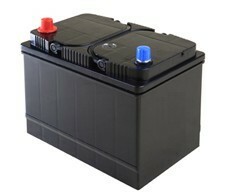 If you are using a vehicle, you must know the importance of Batteries in car’s healthy operation. From the battery the vehicle gets the source of energy that it needs for the ignition and starter system. Battery gives the extra power to the car to run other necessary equipments. But, there is no guarantee when the battery of your car is going to fail you while you are driving. Therefore, it is important for everybody to check whether the battery of their car is running well or not. 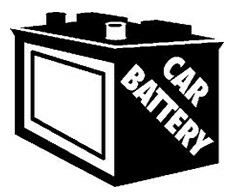 Car battery replacement in Morden supplies a wide range of battery repairing and selling services to help people in Morden run their car in a more efficient way. TA Central Autos expert technician’s checks batteries of every vehicle comes in our repairing centre as a part of our safety assessment. All our mechanics takes the environmental responsibility sincerely and thus every time you bring your car to our Car battery replacement in Morden we dispose the old battery of your car safely after a new purchase from us. Our Car battery replacement in morden contains ranges of batteries with a long term guarantee assurance. TA Central Autos battery stock is capable to fit all cars starting from personal cars, to commercial cars. 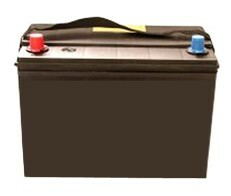 Our offered batteries are also suitable for cars including diesel engine and petrol engine. You dont need to think twice while bringing your car to TA Central Autos. You will also be able to get Hybrid car batteries from our car servicing centre. All our supplied batteries come after passing an extensive safety measures. The batteries we sell are branded and of highest quality. From TA Central Autos you will get batteries that are made by leading manufacturing companies; most importantly they come with a very affordable price. Car battery replacement in Morden promises to provide you the best of best car services more superior than other car servicing companies in Morden. We constantly strive to stay one step ahead from our competitors in market and thus you do not have to think twice while contacting us for battery replacement or repairing services. Contact us to get the best battery services from TA Central Autos, the best Car battery replacement in Morden.